Optic neuritis is localized inflammation of the optic nerve sheath, resulting in reduced neuronal transmission and decreased visual acuity. Generally, there is a loss of color vision and red desaturation noticed by the patients. 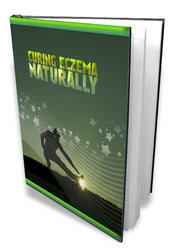 The symptoms generally worsen during the first few days and progressively improve over several weeks. In children, optic neuritis has various causes, typically associated with viral infections. In young adults, optic neuritis has a high association with multiple sclerosis (MS). Approximately 75% of women and 34% of men with optic neuritis will develop MS within 15 years of the onset of optic neuritis. Patients should undergo MR neuroimaging to investigate for plaque formations. They should be questioned regarding constitutional symptoms of fatigue, weakness, difficulty moving or seeing after strenuous activity, and previous attacks. Intravenous methylprednisolone (1 g/day for 3 days) followed by oral prednisone (1 mg/kg/day for 11 days) reduced the rate of MS development for 2 years (Optic Neuritis Study Group). Patients at high risk had a 44% reduction in the rate of developing MS when treated with interferon (Controlled High Risk Avonex Multiple Sclerosis Trial, CHAMPS). Newer treatments with interferon beta-1a (Avonex) and interferon beta-1b (Betaseron, Copaxone) have shown significant improvement in quality of life for patients and reduction in relapses. The Optic Neuritis Treatment Trial recommendations included giving patients with optic neuritis IV methylprednisolone (1 g/day) for 3 days, followed by 11 days of oral prednisone (1 mg/kg/day) (Beck et al., 1993). The dose is generally modified for children with 1 mg/kg/day whether using IV or oral steroids. Patients who receive oral rather than IV steroids for the first 3 days generally have more relapsing of their symptoms. Additionally, although corticosteroids hasten visual recovery, administration of steroids does not affect the overall visual acuity. 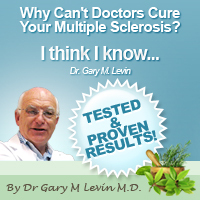 The main benefit is delay of onset of multiple sclerosis. American Family Physician; differential diagnosis of the swollen red eyelid. www.aao.org/practice_mgmt/eyesmart/snapshot_2009_results.cfm AAO 2009 survey of eye injuries in the United States.